This topic contains 1 reply, has 2 voices, and was last updated by Jason 8 months, 3 weeks ago. How do I get started with Alarm.com Legrand Integration? Users with Legrand’s On-Q Digital Audio Systems and a Gold Interactive plan can connect smart speakers to their Alarm.com system to add music and audio control to Alarm.com Scenes, allowing you to create the perfect ambiance for your Smart Home. Integration allows users to wake up with their favorite music or radio station, turn off all the connected speakers in the home when they go to bed or leave home, and even get the party started with a Scene that includes their favorite playlist. 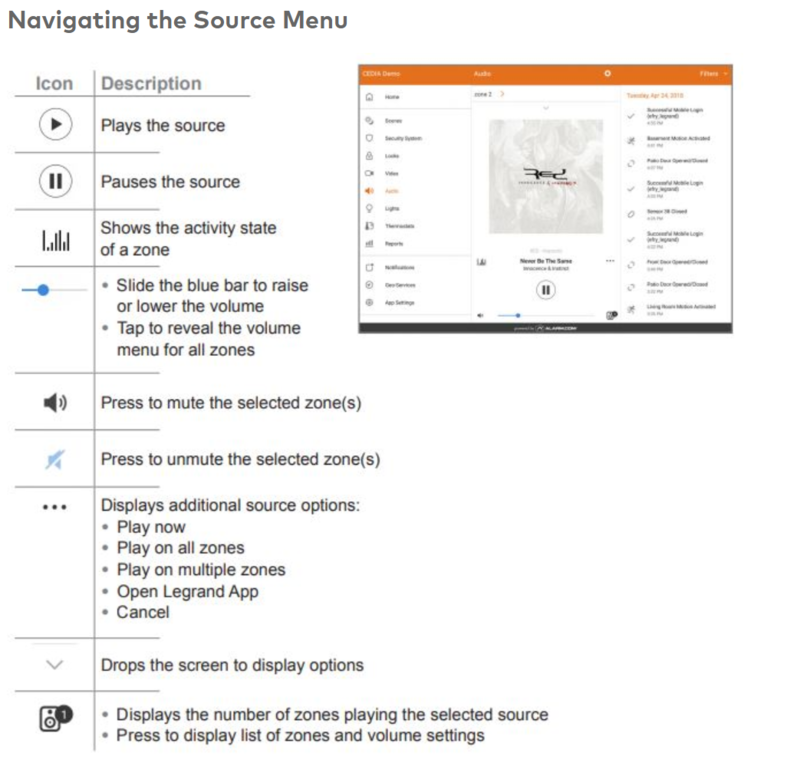 Once integrated, users can Play/Pause the source, Mute or unmute specific zones, control volume, Display number of zones playing selected source, and open the Legrand app. Log into the Legrand app and verify the system displays correctly. 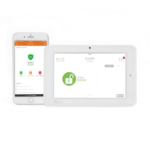 Note: Legrand Digital Audio System features can only be managed through the Alarm.com app. The device must be on the same network as the audio distribution module for the Legrand app to work properly. Log into your Alarm.com app. Tap Start to load the speakers (zones) tied to your Legrand Digital Audio System. Log into the Alarm.com app.